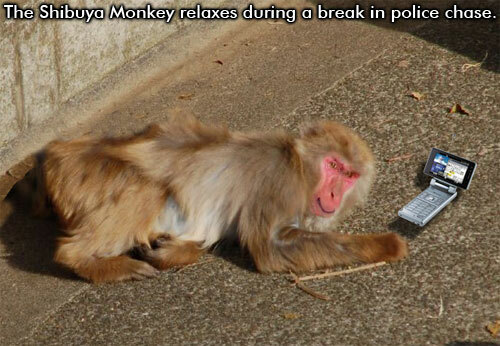 The macaque monkey who’s been eluding police capture since August this year could use some holiday cheer. It’s cold in Tokyo now, much different from that hot summer morning when the cute wild ape jumped the wickets and disrupted the rush hour crowd at Tokyo’s Shibuya train station. The monkey is away from home and all alone in the big city. But you can make the ape happy. With all the gadgets on the shelves in Tokyo, why not grab one for the monkey? Let’s make him a lucky monkey this year! Click here to see more last minute gift ideas for the Shibuya Monkey.